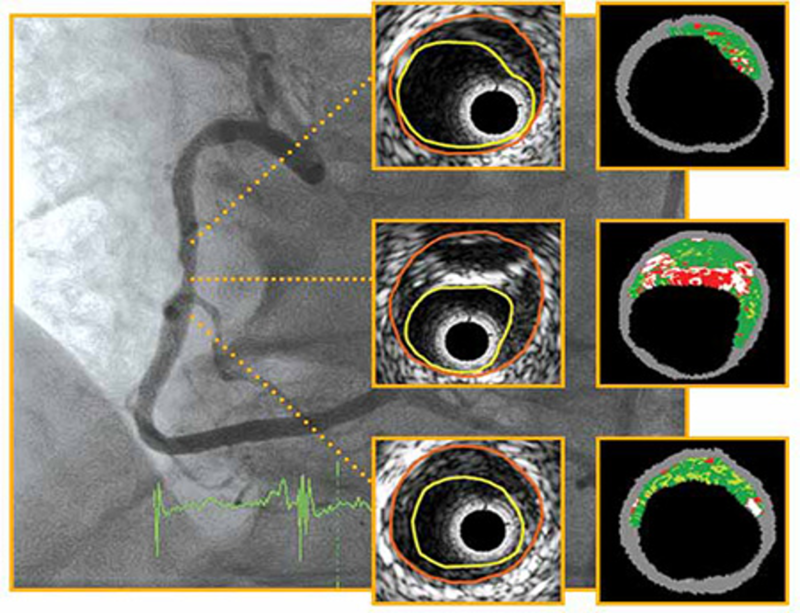 Coronary stenting can be made safer with the help of IVUS or OCT. These are new technology that allows us to study the artery from within, providing information that cannot be obtained from angiogram alone. It provides guidance on the choice of stents and decreases immediate complication rates. In the long term, it translates to lower heart attack rates and better long term stent results. 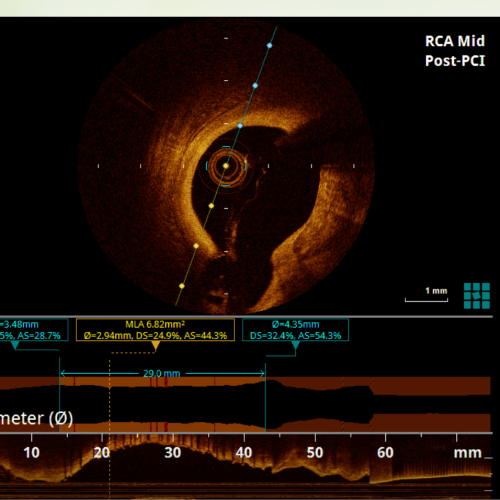 In my practice, IVUS and OCT is routinely used when necessary during the angiogram procedure. It is performed via the same catheter and no further injection or incision is required. This provides high-resolution (10 μm) images of arteries. It provides critical information on whether a plaque is stable or unstable. Unstable plaques are the cause of heart attacks. It also gives information on whether a stent is properly placed. This uses ultrasound technology to provide vessel information. It can be performed fast and accurately.